Q Commons is a two hour learning experience equipping the people of your church to faithfully engage our cultural moment. 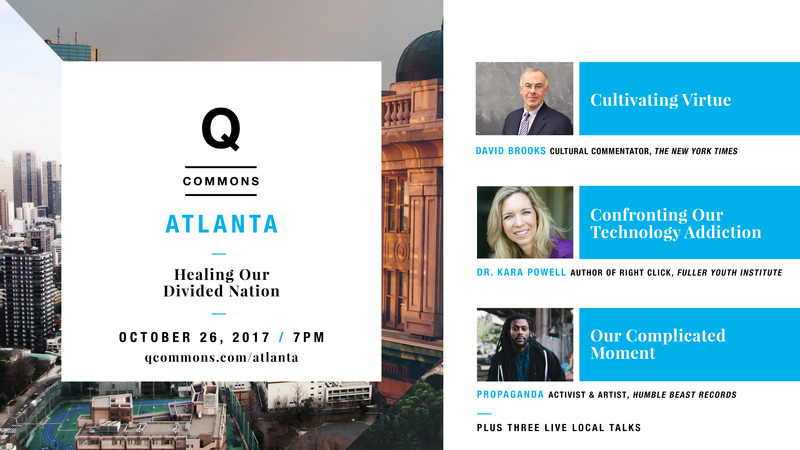 A two-hour event gathering your community for a conversation on how we can advance good thinking, action and virtue in our cities. 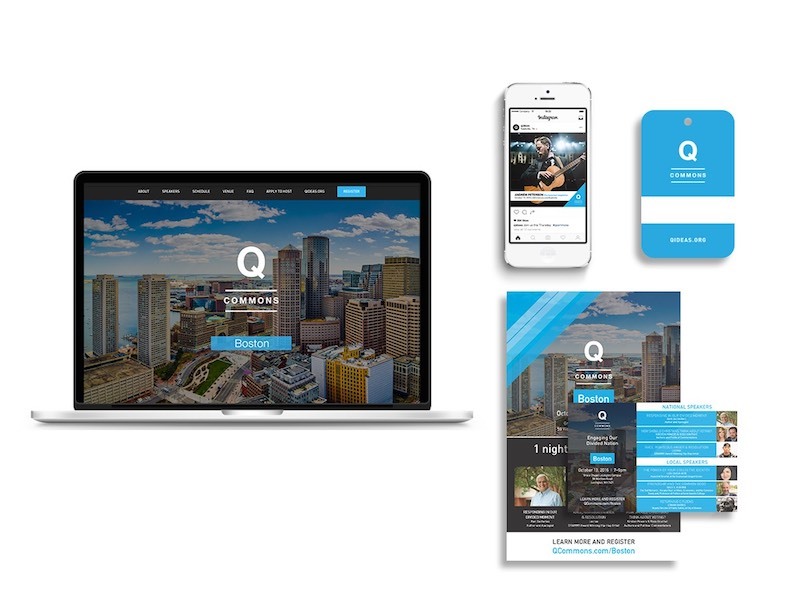 Q Commons is a town-hall style meeting that connects artists, entrepreneurs, politicians, church leaders and anyone interested in how the Christian faith can advance good in their local city. Hosted in 150 locations around the United States and the World, no other gathering unifies this many Christians on one night to give witness to our belief that our way to peace is to love God and love others. Q Commons will demonstrate what’s possible when we do. 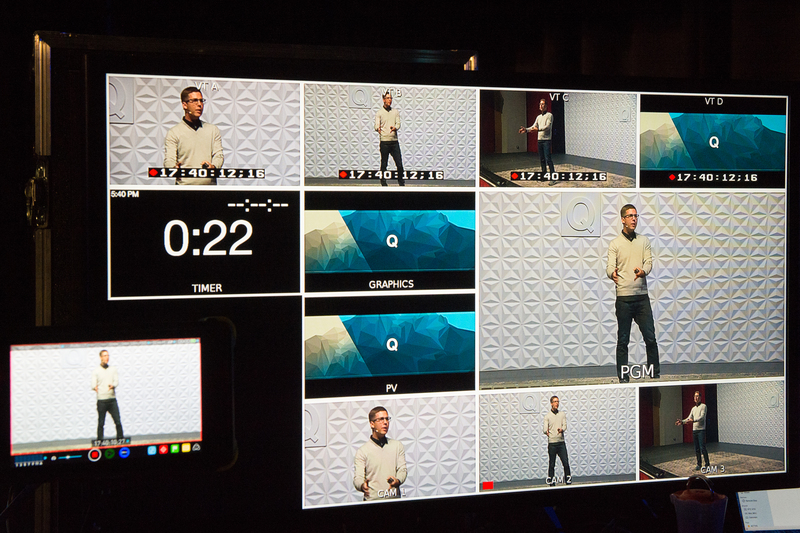 On October 25, you will receive the full Q Commons simulcast program delivered in HD through your internet connection. You are not required to have any special equipment beyond basic A/V functionality. Direct your church's attendees to the personalized website that advertises the full event. This is where they can RSVP and access all the details of your Q Commons Event. 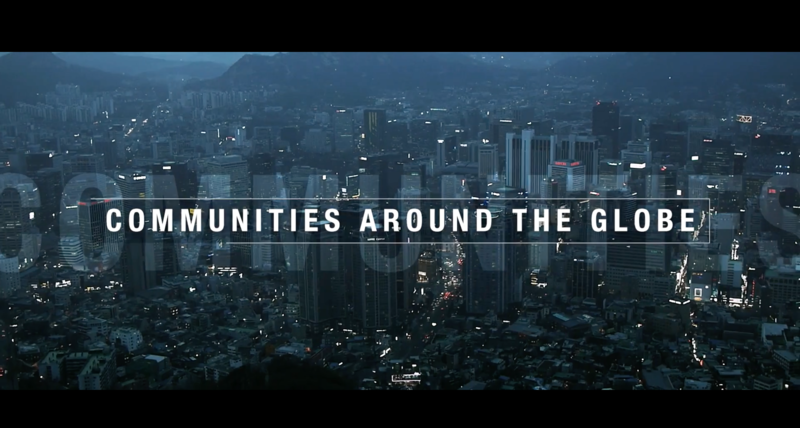 The promotional trailer will help your community grasp what Q Commons is all about and clearly present the topics that will be discussed during the simulcast. This digital resource pack will help you communicate using a flyer and social media graphics to invite those in your church. You will have access to turnkey event materials such as a host script, name badge template, event slides, and more. We’ve made this Q Commons experience accessible and affordable so that every church and member concerned with our cultural moment can participate. For a low-cost investment, you can equip your people and participate with tens of thousands of other Christians in a historic conversation. During this exclusive, two hour evening, your church will join tens of thousands of Christians to be equipped on how to engage this unique, American moment. Our six world class presenters will educate, inspire and offer people of faith creative ways to respond to the difficult challenges facing our local communities. CAN I HOST Q COMMONS AT ANOTHER DATE? Although the national simulcast date is Thursday, October 25th, we can delay the broadcast for your location for up to 3 weeks if a better evening would suit your congregation. Contact kellie@qideas.org to discuss this adjustment. DO YOU OFFER A CANCELLATION POLICY FOR SITE LICENSES? There are no refunds once a site license has been purchased. Full refunds are allowed within 24 hours of the time of purchase. Partial refunds are available, contact info@qideas.org for more details. HOW DO I SIGN UP FOR Q 2018? To sign up for the Q national gathering April 24-26, 2019our website. There is limited seating and it will sell out, so make arrangements now if you intend to attend. 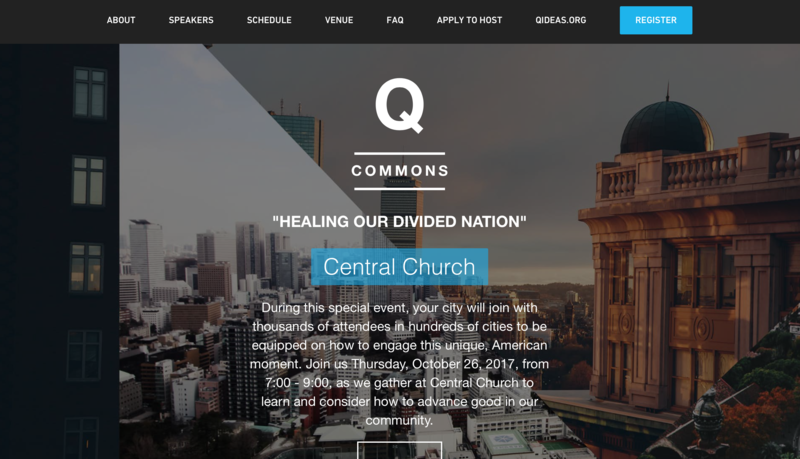 WHAT OTHER CHURCHES AND CITIES ARE HOSTING Q COMMONS? On October 25th, 150 locations will host Q Commons. From city-wide events to college campuses and private church events (what is described on this website), tens of thousands of Christians will be unified and equipped on how to engage our cultural moment. We do not provide a listing of private church hosts, however, you can see a full listing of our public Q Commons city locations at QCommons.com by clicking on the “Cities” tab in top navigation bar.